Bar Bar Black Sheep is a 5 reel slot that is inspired by the 3 reel slot of the same name. The game is themed around a mischievous sheep who brings with him shear rewards that are offered to players, including 999x their bet! Farming has never been so appealing in this quirky slot. You’ll feel right at home while playing, as the farmyard environment and tranquil country backdrop featuring cute, wooly sheep puts you at ease and make you long for the simple life. This vibe is carried throughout the game, as the reels feature cheeky sheep and overstuffed bag of wool that are accompanied by classic fruit symbols that stand out in vibrant colours. The backdrop of a bright, tranquil blue sky and a golden sunset further adds to the game’s ambience. The soundtrack fits in beautifully with the game’s theme, with authentic country twangs such as banjos, guitars, harmonicas and fiddles creating an authentic farmyard setting. Players can win 999x their bet in the special Bar Bar Black Sheep Bonus. This special feature is awarded in both the both Base Game and Free Spins phase should two Bar symbols and one Black Sheep symbol land in a sequence anywhere on a straight line. 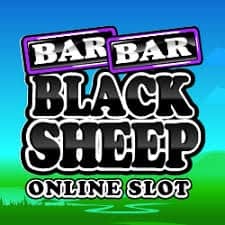 Overall rating for Bar Bar Black Sheep slot machine: 8/10.